Both dogs shed 25% of their body weight to share the crown in an annual competition by vet charity PDSA. Two hefty hounds have shared a charity’s Fit Club slimmer of the year crown by shedding a quarter of their body weight. Borris, a once-obese Cavalier King Charles spaniel, tipped the scales at a whopping 4st 6lb, before losing 25% of his body weight to become a svelte 3st 4lb. He shared top slot in the PDSA Pet Fit Club competition with once-lardy Labrador Sadie, who had ballooned to 6st 9lb but has now slimmed down to 4st 13lb. 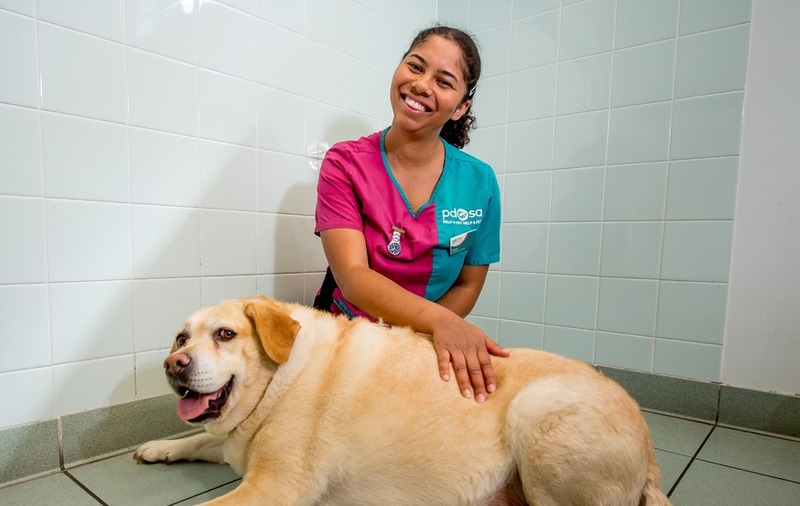 Every year vet charity PDSA helps the UK’s fattest pets battle the bulge in a six-month diet and exercise challenge, specially tailored and overseen by its vets and nurses, with pets who lose the most percentage body weight declared winners. Borris’s owner Annmarie Formoy, 46, from Deal, Kent, admitted the family fed him too many treats in the past, but said his lovable nature meant even complete strangers would give him titbits. His love of food also led to several mishaps – including once raiding a cupboard full of chocolate Easter eggs, and chewing up Annmarie’s father’s false teeth. “I’m delighted, completely over the moon,” said Mrs Formoy, whose pet’s weight loss was supervised by Louisa Carey, head nurse at Margate PDSA Pet Clinic. 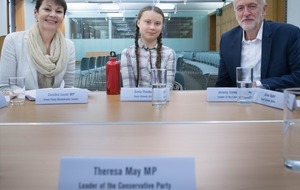 “Borris’s weight loss has been amazing,” she added. “In the past his belly used to be touching the ground and he would refuse to walk. Now he loves his walks – even when it’s raining, which he used to hate. “The best part was the first time that I saw Borris taking his first few running steps, it made me want to cry, I was so happy. He hadn’t run in years! A side effect of the weight loss has been the change in dynamic with the Formoys’ other pet, cat Charlie. Sadie’s owner, George Chaplin, 75, from Grays, Essex, said his Lab’s unrelenting appetite and lots of leftovers led to her sumo size before her diet and exercise regime was overseen by PDSA vet nurse Kerry Griffith from the PDSA Pet Hospital in Basildon. Mr Chaplin added: “PDSA has given us the help we desperately needed to kick start the change, there’s no way I could have done this myself. “She’s a totally different dog now and is so much happier. Before I would have to pull on her lead to get her on a walk but now she waits for me by the door, and she’s got so much more energy. She loves playing with a ball and toys too, which she wasn’t interested in before. PDSA vet Olivia Anderson-Nathan, who helped to judge the competition, said: “It has been hugely rewarding to see our Pet Fit Club pets’ weight decrease over the last six months thanks to their new diet and fitness regimes. “Their success is testament to the hard work of their owners and our PDSA veterinary teams across the UK. Borris and Sadie’s owners have won a pet-friendly holiday courtesy of Sykes Cottages and a year’s free pet food from Dechra Specific. Two fat cats came joint third. Chester, from East Lothian, and Pepsi Cola, from Blackpool, each lost 17% of their body weight. To register a pet for next year’s competition visit www.pdsa.org.uk/petfitclub.